Home News Automobiles Clash Of Segments: Ford Freestyle vs Tata Nexon- Which Car To Buy? Clash Of Segments: Ford Freestyle vs Tata Nexon- Which Car To Buy? Ford calls its upcoming Figo-based crossover — which takes on the likes of the Hyundai i20 Active, Toyota Etios Cross and the Fiat Urban Cross — a CUV (compact utility vehicle). However, the Freestyle’s expected price tag also puts it up against some compact SUVs as well. That’s why we are pitting it against the most value-for-money sub-4-metre SUV, the Tata Nexon. A raised and toughened hatchback: The Freestyle is based on the Figo hatchback and that clearly shows in its exterior design. It looks like a raised version of the upcoming Figo facelift. A bold crossover: The Tata Nexon is also based on an existing hatchback’s (Bolt) platform, but it’s a completely different product in the flesh. 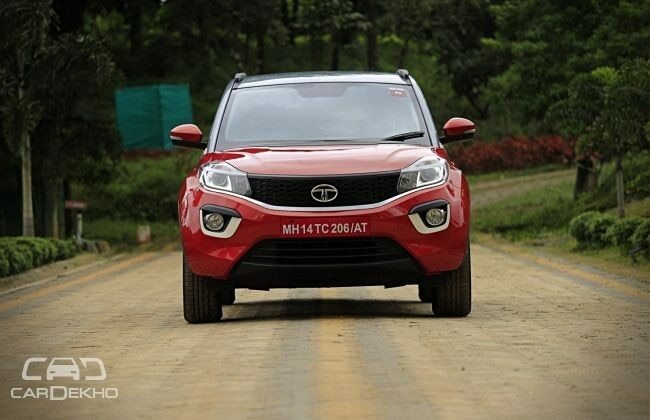 As far as its exterior design is concerned, it’s a crossover with a high ground clearance and flared wheel arches, which gives it the road presence of an SUV. Just as spacious as the Figo: Since the Freestyle is based on the Figo, do not expect a sprawling cabin. 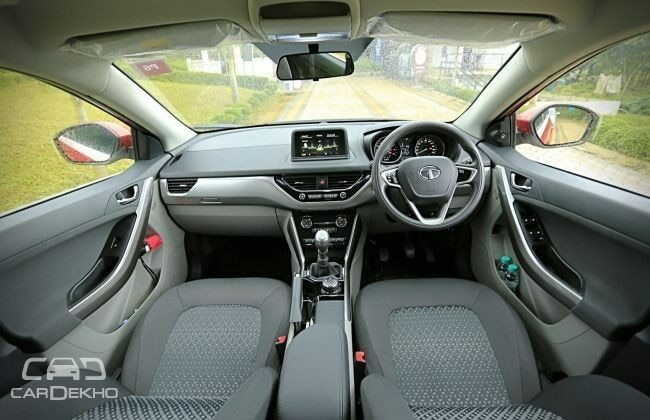 However, our test figures suggest that the legroom and kneeroom in the pre-facelift Figo are more than the Nexon. So expect the Freestyle to be equally good. Truly spacious Tata: Staying true to its reputation, the Nexon offers generous room for your head and shoulders. That said, it has less legroom than the Freestyle. Visually, the Tata Nexon is the bulkier looking of the two. It is 40mm longer, 74mm wider and 37mm taller than the Freestyle. 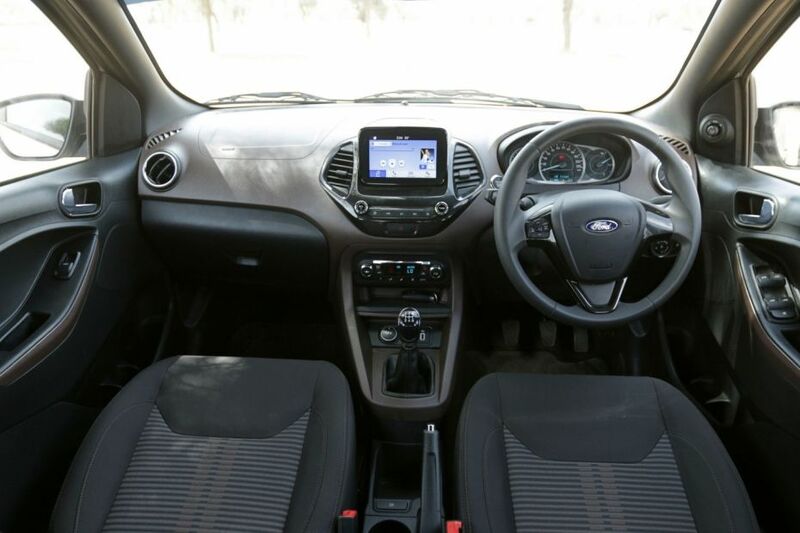 We also expect the cabin space of the Ford Freestyle to be less than the Nexon’s, although the wheelbase of the former is shorter only by 8mm. The Freestyle’s luggage bay is 93 litres smaller in volume than the Nexon. 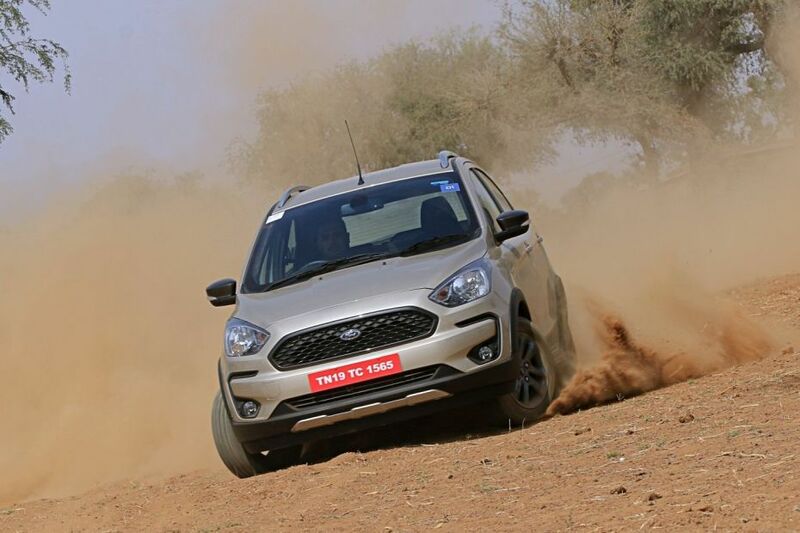 If you thought the Ford Freestyle will have the edge in ground clearance, you’d be wrong. The Nexon rides 19mm higher than the Ford. Going by the numbers above, the Freestyle may appear to be no match to the Nexon. And that’s because it really isn’t, since the two cars belong to different segments. That said, the Freestyle’s relatively smaller dimensions will make it more suitable for those looking for a personal vehicle with limited parking space. Let us move to engine specifications now. 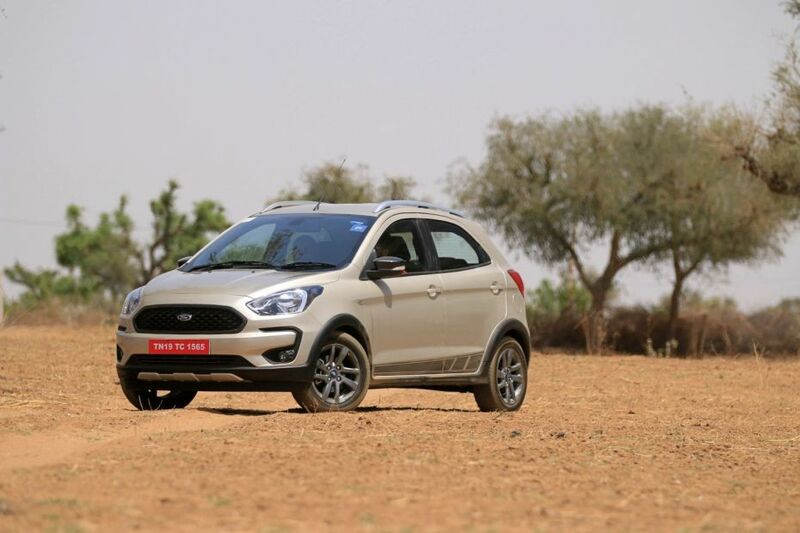 We expect the Ford Freestyle to cost between Rs 5.99 lakh and Rs 8.59 lakh. Read more about the expected prices here. The Tata Nexon, on the other hand, is priced between Rs 6.16 lakh and Rs 9.90 lakh for the top-spec XZ+ dual-tone variant in Delhi. The Tata Nexon is equipped with ABS, EBD and dual airbags as standard. Its base XE variant gets power windows only at the front. In comparison, the Freestyle’s base Ambient variant is more loaded. It gets ABS, EBD, dual airbags, rear fog lamps, high speed warning, front power windows and keyless entry as standard across range. The top-spec Nexon XZ+ gets projector headlamps with LED daytime running lights (DRLs), 16-inch machine-cut alloy wheels, cornering fog lamps and LED tail lamps on the outside. The cabin features a sliding tambour door for the storage space on the centre console, push-button start/stop, 60:40 split rear seats, auto climate control and a 6.5-inch infotainment system with Android Auto and Apple CarPlay, eight speakers and various connectivity options such as voice command, Bluetooth, USB and Aux-in. Additional safety features include a rear defogger, rear parking sensors and a camera. The Freestyle’s top variant puts greater focus on safety. It is equipped with ESP (electronic stability program), hill assist, six airbags, rear parking sensors and emergency brake assist over the standard equipment. It trumps the Nexon on infotainment as well, with Apple CarPlay on offer alongside Android Auto and Ford’s SYNC 3 system. Convenience features include auto headlamps, rain-sensing wipers and auto climate control. The top-spec variant of the Freestyle rides on 15-inch alloy wheels. If Ford manages to price the top-spec Freestyle below the Nexon, it will turn out to be a better value proposition than the Tata, especially when you consider the amount of kit on offer.